Believe it or not but plastic bags are becoming a serious environmental problem. So serious that many countries globally have imposed charges for all bags now paper and plastic. You’d probably think that even with a charge of say a few dollars the consumer would keep the bag and then reuse it. However some do many do not. Regardless of the charges imposed production of plastic bags and purchasing still continues. As human population increases so will demand for shopping accessorizes. Two hundred and sixty seven different species of animals and plants have been known to be affected by plastic bag wastage. Over 100,000 marine animals, including highly intelligent, adorable sea turtles, whales and dolphins, die every year because of plastic bags. The die because of your selfishness. While conservation organisations are helping to clean the seas, beaches and lands of your waste the production of bags continues at a staggering rate. To be precise every five seconds sixty thousand plastic bags are produced every “five seconds” just in the United States alone. That’s one hell of a lot of bags. 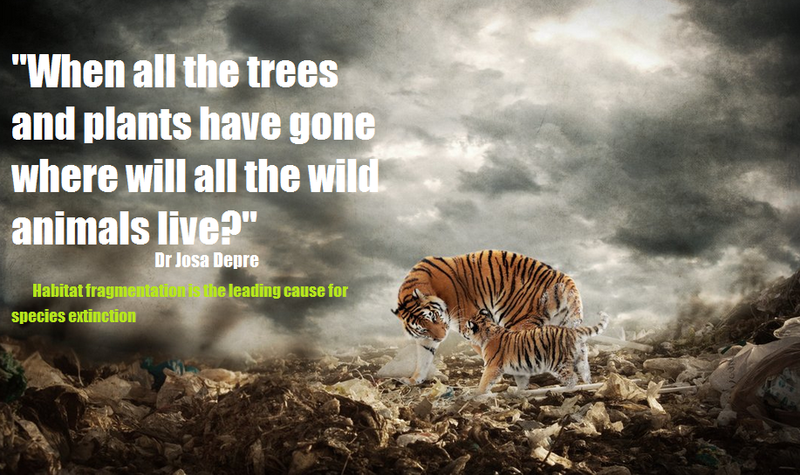 The damage plastic bags cause to our wildlife is catastrophic as one can see in the picture below. Even when animals that have died and decomposed digest plastic bag particles or whole plastic bags the bag still remains intact. It takes over one hundred years or more for your average plastic bag to decompose. 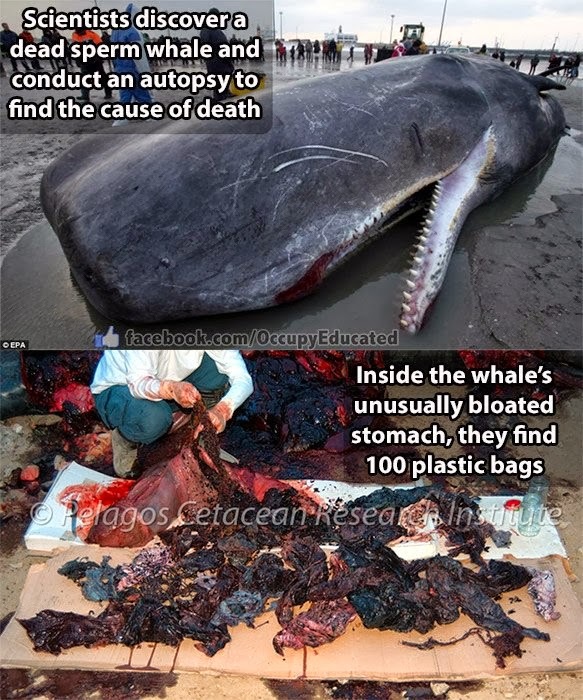 In that time the digested plastic bag has most likely poisoned another animal or killed a further whale or even a Tiger or Lion.. Even Africa’s pristine parks are not safe from littering so don’t think for one moment that plastic bag refuse is just confined to our oceans. The picture above depicts a dead decomposing seabird. Look closely though. You can make out many different plastic particles. Lighters, bottle tops and pieces of plastic bag garbage that would most likely have led to this animals painful death. 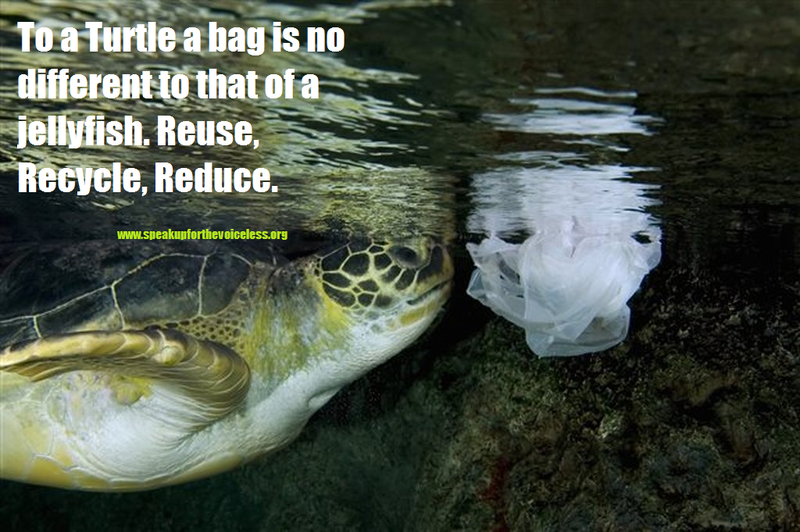 And as explained marine animals are not the only species threatened by plastic bag garbage. 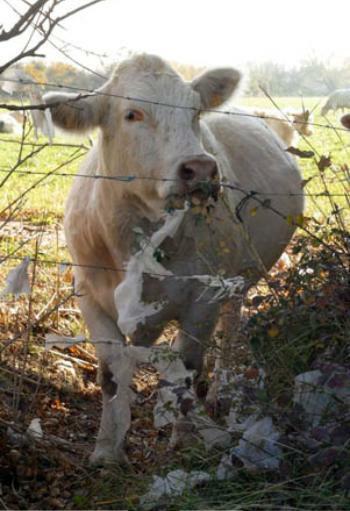 The picture below depicts cattle that have also fallen prey to the plastic bag menace. Digesting such toxic plastics can lead to many physical complaints that can lead to eventual death. Plastics take hundreds, perhaps even thousands, of years to break down in most environments, such that it is not a stretch to imagine a single bag killing more than one animal over a very long lifetime on land and sea. 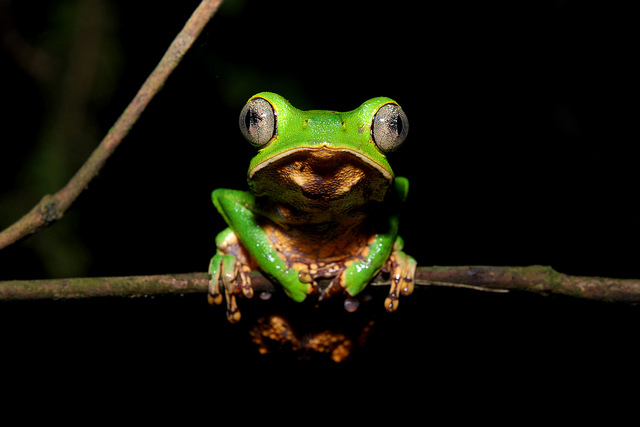 And while the statistics are incomplete, some conservationists estimate that at least 100,000 mammals and birds die from them each year, felled by the estimated 500 billion and more plastic bags that are produced and consumed around the world; the numbers of fish killed by them are unknown, but they are sure to number in the millions. Word of that devastation is spreading, and countries around the world have taken measures to limit or ban the use of throwaway plastic bags. The first to do so was Bangladesh, which banned plastic bags in 2002; following a particularly damaging typhoon, authorities discovered that millions of bags were clogging the country’s system of flood drains, contributing to the destruction. In the same year, Ireland took another approach and instituted a steep tax on plastics. According to the country’s Ministry of Environment, use fell by 90 percent as a result, and the tax money that was generated funded a greatly expanded recycling program throughout the country. In 2003 the government of Taiwan put in place a system by which bags were no longer made available in markets without charge, and carryout restaurants were even required to charge for plastic utensils. In the United States, however, measures to ban or curtail the use of plastic bags have met with official resistance. With its powerful lobby, the plastics industry argues that jobs will disappear—and the industry employs some two million workers, at least in good times—if the trade in plastic bags is reduced. But these are not good times, bans or no, and critics point out that Americans alone throw out at least 100 billion bags a year, the equivalent of throwing away 12 million gallons of oil, which seems an intolerable waste. Thus, even in the United States, the no-bags campaign is gaining ground. During its 2008 session, the New York State Legislature passed legislation requiring the “reduction, reuse, and recycling” of checkout bags. The previous year, the city of San Francisco banned plastic bags altogether, at least the flimsy ones of yore. National Public Radio reported a few months later that the ban had been a boon for local plastics manufacturers, who have been introducing heavy-duty, recyclable, and even compostable bags into the marketplace. And then New York City Mayor Michael Bloomberg had been talking of imposing a citywide tax of six cents for every plastic bag dispensed—one source of quick revenue in tight times, at least until consumers catch on and stop paying the surcharge by carrying their own shopping bags. Just so, speaking directly to our wallets, more and more grocery stores in the United States are offering small incentives to customers who do so. Trader Joe’s, a popular California-based chain, offers such customers raffle tickets for free groceries, while Albertson’s, another chain, gives a small cash credit. Plastic bags are made of polyethylene and polyethylene is a petroleum product. When animals consume such plastic bags they are then poisoned by the chemicals within that bag as it passes through the animals digestive system or they simply choke to death. In many case animals stomachs and intestines become so clogged with plastic bag waste that many die just from this complaint. Plastic bags are often mistaken as food by marine mammals such as turtles that believe a floating bag is prey such as jelly fish. 100,000 marine mammals die yearly by eating plastic bags. When plastic is cast out to see photo-degradation breaks the plastics down into what we call mermaid tears or nurdles. Mermaid tears or nurdles are basically very small plastic particles that have been broken down by the suns exposure. Smaller sea-life species of animals such as turtles, fish even shell fish are then exposed to an almost invisible man made silent killer. These tiny plastic particles can get sucked up by filter feeders and damage their bodies. Other marine animals eat the plastic, which can poison them or lead to deadly blockages. Nurdles also have the insidious property of soaking up toxic chemicals. Over time, even chemicals or poisons that are widely diffused in water can become highly concentrated as they’re mopped up by nurdles. These poison-filled masses threaten the entire food chain, especially when eaten by filter feeders that are then consumed by large creatures.
. 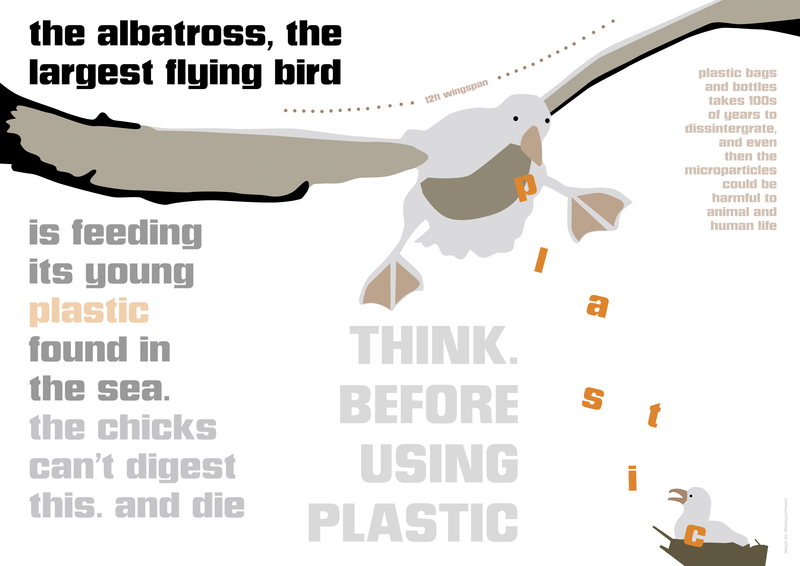 In total, more than a million birds and marine animals die each year from consuming or becoming caught in plastic and other debris. Each year, an estimated 500 billion to 1 trillion plastic bags are consumed worldwide. That’s over one million plastic bags used per minute. 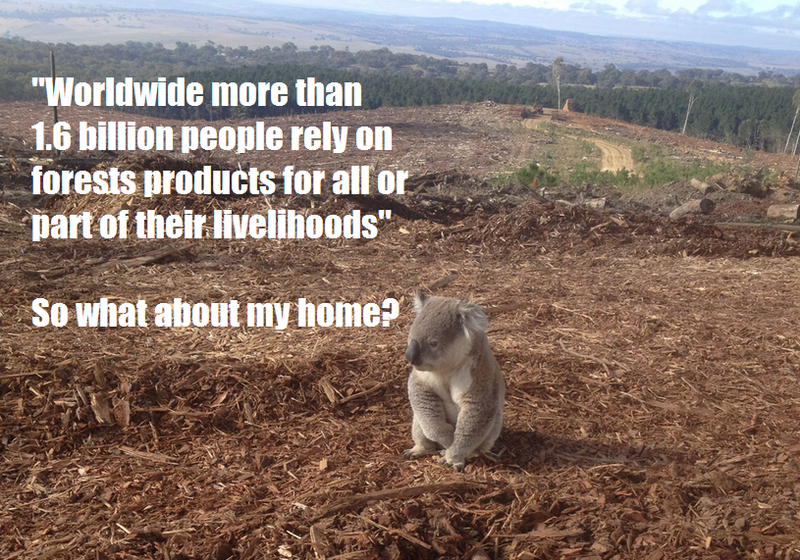 According to the Worldwatch Institute’s State of the World report. Some 4 to 5 trillion plastic bags—including large trash bags, thick shopping bags, and thin grocery bags—were produced globally in 2002. Roughly 80 percent of those bags were used in North America and Western Europe. Americans use and dispose of 100 billion plastic shopping bags each year and at least 12 million barrels of oil are used per year in the manufacture of those plastic grocery bags. Scientists estimate that every square mile of ocean contains about 46,000 pieces of floating plastic. Researchers have found that plastic debris acts like a sponge for toxic chemicals, soaking up a million fold greater concentration (than surrounding water) of such deadly compounds as PCBs and DDE. Becoming highly toxic poison to marine animals which frequently consume these particles. Plastic bags can take up to 1,000 years to break down, so even when an animal dies and decays after ingesting a bag, the plastic re-enters the environment, posing a continuing threat to wildlife. There is now six times more plastic debris in parts of the North Pacific Ocean than zooplankton. At least 267 different species are known to have suffered from entanglement or ingestion of plastic marine debris. The amount of petroleum used to make a plastic bag would drive a car about 115 metres. It would take only 14 plastic bags to drive one mile! In 2007 in the U.S, about 31 million tons, or 12.1 percent of total municipal waste, was plastic. Over 380 billion plastic bags, sacks and wraps are consumed in the U.S. each year, costing retailers an estimated $4 billion. Over 100,000 marine animals, including highly intelligent, adorable sea turtles, whales and dolphins, die every year because of plastic bags. While poaching and over-fishing is affecting many species of animals within the deep blue seas and shorelines so too are you the consumer that unknowingly when throwing that plastic bag away or using it as a smaller sized refuse bag are actually contributing to the extinction of our threatened species of marine life. Since 1950, plastics have played an omnipresent part of our daily lives. Most of the marine debris in the world is comprised of plastic materials (between 60 to 80% of total marine debris). Field studies have shown that mega- and macro-plastics have concentrated in the highest densities in the Northern Hemisphere, adjacent to urban areas, in enclosed seas and at water convergences. The longevity of some plastics is estimated to be hundreds to thousands of years! The environmental impacts resulting from the accumulation of plastic waste are huge and increasing. 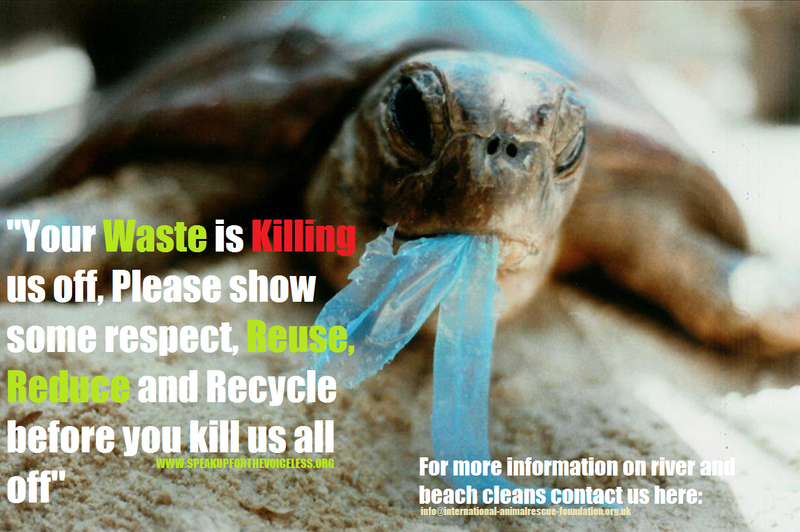 Plastic debris affects wildlife, human health, and the environment too. The millions of tons of plastic bottles, bags, and garbage in the world’s oceans are breaking down and leaching toxins posing a threat to marine life and human. Plastic materials in landfills sink in harmful chemicals into groundwater. Chemicals added to plastics are dangerously absorbed by humans like altering hormones. Research on plastics includes a large and robust literature reporting adverse health effects in laboratory animals and wildlife at even low doses. 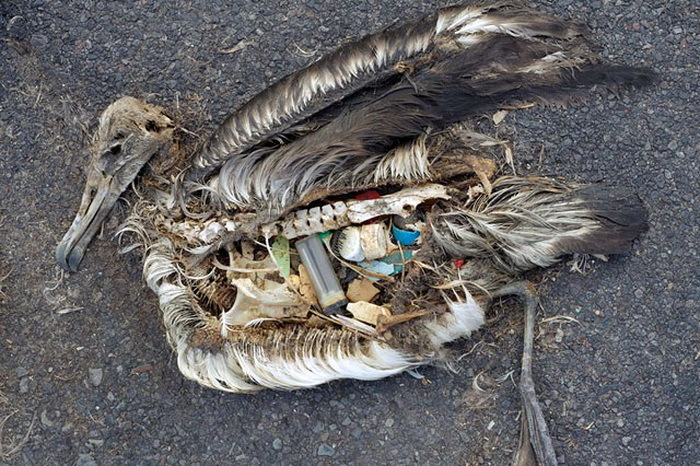 Plastic debris is ingested by hundreds of species choking and starving them. Floating plastic debris can spread invasive species. 36 per cent of Australian sea turtles are affected by marine litter, with some 18,000 pieces of plastic litter floating on every square kilometer of the world’s oceans. Green turtles are the most common species seen in WA with up to 30,000 females nesting along the coast and along fringing reefs at Shark Bay to Murchison River between October and February each year. According to the WA Department of Environment, divers may see large juveniles around Rottnest Island reefs. University of Queensland marine biologist Dr Kathy Townsend said the problem of marine waste had to be tackled before the already low population numbers of sea turtles became even more depleted. The Turtles in Trouble program found turtles had swallowed balloons, plastic bags, nylon rope, styrofoam and thongs, among other things, possibly mistaking them for jellyfish. Once ingested, the plastic causes a gut impaction which leads to the contents of the animal’s gut decomposing. “The animal becomes positively buoyant and it can’t dive down to eat, it can’t get out of the way of predators, it can’t get out of the way of boats, so it really is quite a tragic thing,” Dr Townsend said. It can result in so-called “floating syndrome”, where the turtle may take months to gradually starve to death. 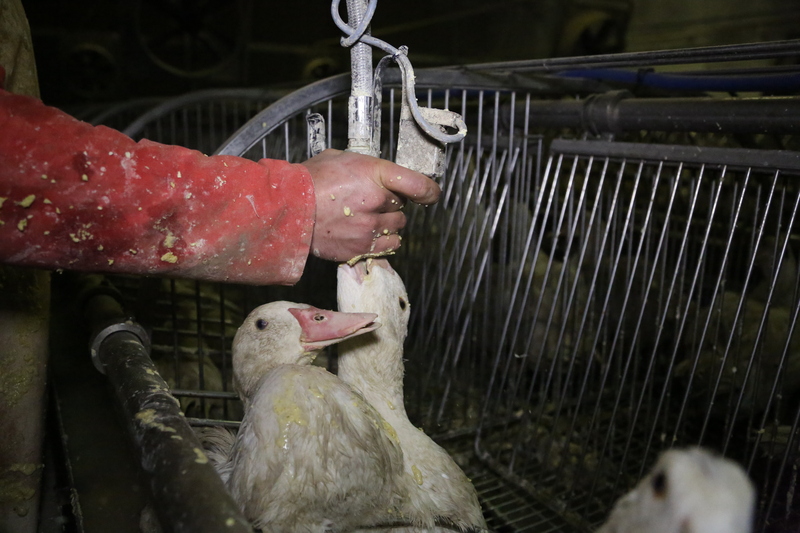 “It’s a really long, drawn-out, painful death,” Dr Townsend said. Earthwatch Australia executive director Richard Gilmore said a number of measures can be taken to reduce marine rubbish. “Australia’s marine environment is absolutely fundamental to our economy, our environment and to our way of life,” Mr Gilmore said. Dr Townsend said that everyone can do their share. “Start refusing those items that have a useful lifetime of only minutes and yet take years if not decades to degrade,” she said. “Do you really need to have a plastic top on your paper coffee cup? Refuse that, you don’t need that”. Marine rubbish also affects Victoria’s famous fairy penguins, which frequently get entangled in debris. Dr Townsend said if the problem is not addressed it will only get worse, but with awareness, she hopes the correct choices will be made to reduce the amount of rubbish reaching the marine environment. Picture below depicts what a turtle believes is food. A plastic bag that to the turtle appears much like its prey – jellyfish.. Even dolphins are not safe from the plastic bag menace. The video below depicts unselfish kind and considerate boatmen that located a baby dolphin in distress. The plastic shopping bag appeared to have been half ingested and smothering the baby dolphin. Had these kind men not taken evasive action the baby dolphin would most certainly have perished from suffocation. While sea turtles are under threat from plastic bags too being one of the oceans most endangered species the Maui’s dolphins are also under attack from this dreaded plastic bag syndrome as we call it. A slow breeding rate and small population size have made of Maui’s dolphin a very endangered subspecies. In fact, just more than one human-induced death every seven years seriously threatens the chances of population recovery. However, over since March 2001, seven dead Maui’s dolphins have been found. Five of these deaths were due to fishing, one was impossible to determine and one was because of natural causes. This dolphin is vulnerable to set net (gill net) and trawl fishing, marine pollution and debris, boat strikes and genetic bottleneck. Dolphins like Maui’s which inhabit shallow coastal waters are vulnerable to the pollutants which humans allow into the sea. Chemicals from industrial waste, stormwater and agricultural runoff like PCBs, DDT, dioxins and metals have been found in Hector’s dolphin’s blubber (including Maui’s dolphins). These pollutants bio-accumulate, which means they increase in potency as they move up the food chain. Maui’s dolphins are near the top of their food chain and these pollutants can be passed on to young dolphins through their mother’s milk. High levels of exposure can cause loss of fertility and compromise immune systems in marine mammals. Another form of pollution which threatens Maui’s dolphins is solid rubbish such as plastic shopping bags which can be mistaken for squid and ingested, killing the dolphin. A dead sperm whale that washed up on Spain’s south coast had swallowed 17kg of plastic waste dumped into the sea by farmers tending greenhouses that produce tomatoes and other vegetables for British supermarkets. Scientists were amazed to find the 4.5 tonne whale had swallowed 59 different bits of plastic – most of it thick transparent sheeting used to build greenhouses in southern Almeria and Granada. A clothes hanger, an ice-cream tub and bits of mattress were also found. The plastic had eventually blocked the animal’s stomach and killed it, according to researchers from the Doñana national park research centre in Andalusia. Researchers at first found it hard to believe that the 10-metre animal had swallowed the vast amount of plastic they found protruding through a tear in its stomach. In all the whale’s stomach contained two dozen pieces of transparent plastic, some plastic bags, nine metres of rope, two stretches of hosepipe, two small flower pots and a plastic spray canister. All were typical of the closely packed Almeria greenhouses that cover about 40,000 hectares – and are clearly visible in satellite photographs taken from space. Desert-like Almeria has transformed itself into Europe’s winter market garden thanks to the plastic greenhouses where plants are grown in beds of perlite stones and drip-fed chemical fertilisers. Local farmers report that Tesco, Waitrose and Sainsbury’s are all valued customers. Estimates of how much plastic waste is generated vary from 45,000 tonnes to more than 88,000 tonnes. Much is treated in special waste centres, but environmentalists complain that local riverbeds are often awash with plastic detritus and, with greenhouses built right up to the high-tide line, some also ends up in the sea. “The problem of degraded plastics that are no longer recyclable still remains,” Renaud de Stephanis, lead researcher at Doñana, and his team reported in the Marine Pollution Bulletin. Only about 1,000 sperm whales – the world’s biggest toothed whales – are thought to live in the Mediterranean. They live for up to 60 years and are often killed after getting caught in nets or being hit by ships. Now another man-made danger has been detected. “These animals feed in waters near an area completely flooded by the greenhouse industry, making them vulnerable to its waste products if adequate treatment of this industry’s debris is not in place,” warned de Stephanis. • This article was amended on 10 July 2014 to clarify a statement about the amount of plastic waste generated by the Almeria greenhouses. Since the early 1990’s and beginning of the Millennium governments around the world have taken quite a significant stance against the production and selling of shopping bags. Some countries have banned plastic shopping bags whereas others have implemented a charge. These charges have been welcomed by many people although not everyone is pleased.. International Animal Rescue Foundation’s Marine Conservation Team surveyed 100 shoppers at Tesco, J.S Sainsburys, Morrison’s, ASDA and the Cooperative Group when we released our last marine article in 2013 relating to marine pollution. Out of the 100 shoppers questioned that had mostly a shopping cart filled with bags the majority were not pleased that they had to purchase from five to ten or more shopping bags valued at around 0.02p and 0.04p. International Animal Rescue Foundations Marine Conservation Unit questioned the Store Managers of which neither they nor their staff that worked on the checkouts were actually made aware as to why customers were being charged for plastic bags. On surveying the stores main communications boards there was no customer feedback stating why charges were introduced and the dangers plastic bags cause to the environment. However two stores I.e Tesco and the Morrison’s it was observed small caged bins that had free second hand used bags were in place for the public to use or place their old unwanted bags into to be reused by the public. International Animal Rescue Foundation welcomes this initiative although its very limited and many stores across the United Kingdom and Germany did not have such bins in place for second hand bags to be used. 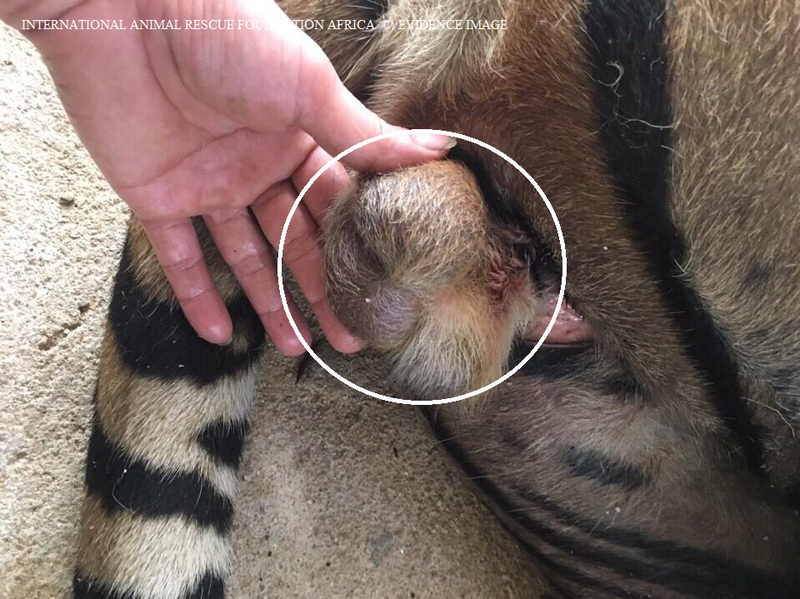 Since this small survey International Animal Rescue Foundation has been working on trial posters of which they hope to educate not only the staff within these large hypermarkets but also the public. Education and awareness is key to International Animal Rescue Foundations mission statement. If customers can be made “visually” aware of the impacts throw away plastic bags have to the environment then its hoped a change in the way public use bags is seen. We can all only but try. Or lobby for a complete ban on plastic bags. Not only do countless bags make streets, roadsides and parks of many African countries look awful, they also pollute the environment. They clog the drains and choke the soil. Many sea turtles die after eating bags that probably look like jellyfish to them. And until recently eating dumped plastic bags was the cause of death for 70 per cent of all cattle in the Mauritanian capital of Nouakchott. Finally the most shocking fact is that – depending on thickness – plastic bags dumped in the environment may take between 20 and 1000 years before breaking down. Many African governments are now looking at the clean streets of Rwanda with admiration as all plastic bags have been banned since 2008. Mauritania and Mali followed with a ban in 2012. Many other African countries are trying to ban the import and production of bags made of very thin plastic and some are considering a wider ban. According to the Rwandan businessman the paper bags are particularly not suitable for wrapping meat. “Before you get home, the bag is completely wilted. But currently we don’t have any choice.” Mulega believes that some products just need plastic packaging. A recent report on France24 showed Rwandan bakers complaining about paper bags tearing up too easily causing the bread it’s supposed to protect to spoil too soon. It’s for these reasons that the Danish company Field Advice has started the construction of a plant for fully biodegradable packaging in Kigali this year. “The ratio of ingredients can determine in advance when the plastic will decompose,” Field Advice-director Mark Remmy explains, while he shows how he pulverizes a so-called oxo-biodegradable plastic fork between his fingers. 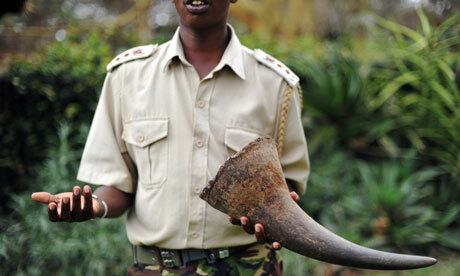 “Rwanda is an extremely interesting market for our company because it ensures a great demand. “Rwandans face great difficulty to transport groceries in a paper bag during the rainy season for example.” Also, the production of a paper bag consumes more water and energy than an oxo-biodegradable bag. Mexico City adopted a ban last summer—the second major city in the western hemisphere to do so. India seems to be taking the lead in bans on plastic bags, although enforcement is sometimes questionable. Cities including Delhi, Mumbai, Karwar, Tirumala, Vasco, Rajasthan all have a ban on the bag. A ban went into effect (with little notice) in Rangoon late last year. In neighboring China, the use of plastic bags is restricted. Plastic bags have been banned in Bangladesh since 2002, after being found to be responsible for the 1988 and 1998 floods that submerged most of the country. The country, which has had a ban on plastic bags for years, has a reputation for being one of the cleanest nations not only on the continent, but in the world. Now that’s pretty classy! Sydney’s Oyster Bay was the first Australian suburb to ban plastic bags. Twelve towns in Australia are now said to be plastic bag-free—an effort to cut down on the estimated 6.7 billion plastic bags used in Australia every year. Plenty of other places have chosen not to ban plastic bags, but to discourage them through financial means. There have been taxes on plastic bags since before 2008 in Italy, Belgium, and Ireland, where plastic bag use dropped by 94 percent within weeks of the 2002 ban. In Switzerland, Germany, and Holland, the bags come with a fee. And, in one lonely case (that I could find) of a reversal on a ban after it was implemented, Taiwan had a ban on plastic bags for three years before it lifted it in 2006. And if this is not a fare shed load of information about plastic bags and the damage they cause to the environment, fauna and flora please do remember before you even purchase a plastic bag rather than “reusing” the bag you only purchased yesterday or just threw away then take this information below on board. According to MSN, the production of plastic bags creates enough solid waste per year to fill the Empire State Building two and a half times. The Worldwatch Institute estimates that in the U.S. alone, an estimated 12,000,000 barrels of non-renewable petroleum oil are required to produce the 100 billion bags consumed annually. That’s over $500,000,000 the country could be saving to put towards clean, green energy. They can take from 400 to 1,000 years to decompose but their chemicals residues remain for years after that. Plastic bag syndrome as we call it must be addressed by every government globally. On a personal note we as conservationists do not believe the plastic bag tax is helping at all. Yes the price of paying for bags has put some people off. However eight out ten consumers still do not reuse their plastic bags. They later end up on the garbage tip, floating in some stream or within our already threatened marine ecosystems polluting the seas more and killing off vulnerable species of aquatic wildlife large and small. As the planets populations grow so will the need for more bags. Every five seconds a alone some 100,000 plastic bags are churned out globally without a care in the world of what damage they are inflicting to the environment from careless consumers. 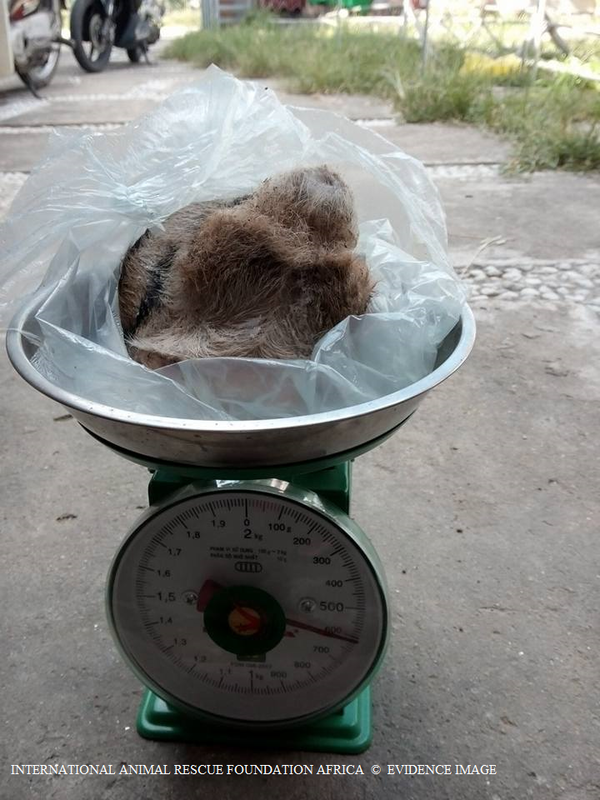 International Animal Rescue Foundation calls for a stricter response to this issue of which we believe a mandatory fine should be brought into punish consumers that carelessly do not reuse their bags or just throw them into the garbage. More stricter fines and/or imprisonment must be looked into as well with regards to “all waste that is recyclable not being recycled”.. If you think about it plastic bag syndrome is no different to that of fly tipping. International Animal Rescue Foundation will be monitoring hypermarkets all over Europe this coming 2015. The conservation company will also be asking Managers and CEO’s of large supermarket chains to include our posters within their stores where there is high yet slow customer traffic such as tills and customer service points. Lastly as of next year we will be showcasing a video on our road shows around Europe aimed at Store managers and Chief Executive Officers in the hope they will do more “in store” to help the public help sustain our wildlife. 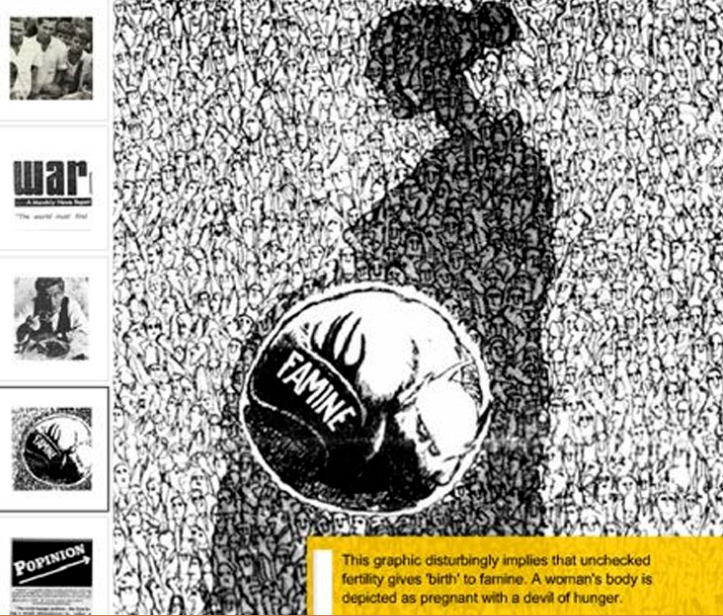 This entry was posted on September 24, 2014 by speakupforthevoiceless. It was filed under You must be the change you want to see in the world and was tagged with ASDA, bags, International Animal Rescue Foundation Africa, Kingfisher, Morrisons, plastic bag, Plastic bags, plastic shopping bags, pollution, recycle, reduce, refuse, reuse, Safeway, shopping, shopping bags, Tesco, United States, Walmart.